Remember when you were a child and the things you wondered about God? Kids are no different today. 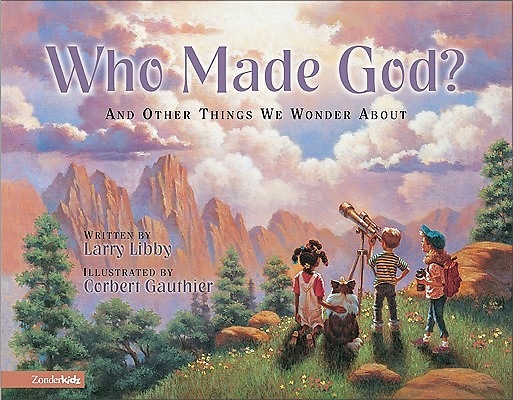 They have questions about God that seem to have no logical explanation, but best-selling author Larry Libby offers sensitive, biblically-based answers to difficult questions. Filled with warm, heartwarming illustrations that create a comforting atmosphere for talking with children about their deep questions about God, Who Made God? provides a special time of sharing with your child. Help your child discover answers about the One who loves us most of all—our Heavenly Father.